Doreen Major Ryan has more than 27 years of communications experience with expertise in product development and dissemination, marketing, and project management. She oversees a range of corporate and project efforts at JBA encompassing publications, videos, websites, social media, and branding. Her role includes managing communications staff, editors, designers, web developers, and vendors and monitoring quality, timelines, and budgets. Major Ryan’s experience includes communications and marketing on behalf of federal agencies, nonprofit organizations, and an urban hospital system. 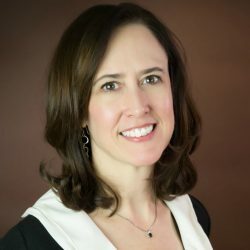 Her work has included fostering the transfer of research to practice by translating, packaging, and disseminating actionable information on public health issues such as behavioral health, maternal and child health, and cancer. She is adept at ensuring compliance with federal requirements pertaining to plain language, editorial standards, Section 508, and agency clearance. Major Ryan received an M.A. in English and American Literature from New York University.